Rising transportation costs, the persistent driver shortage, and ongoing capacity crunches are just a few external variables impacting the supply chain and making it difficult for companies to be productive, efficient, and profitable. Add the rigors of e-commerce, omni-channel distribution, and changing customer demands to the list and you wind up with an environment that’s challenging for even the most seasoned logistics and supply chain professionals. Focused on getting the right product in the right quantity to the right place at the right time, these professionals know that today’s customer demands full transparency into where those deliveries are at all times. 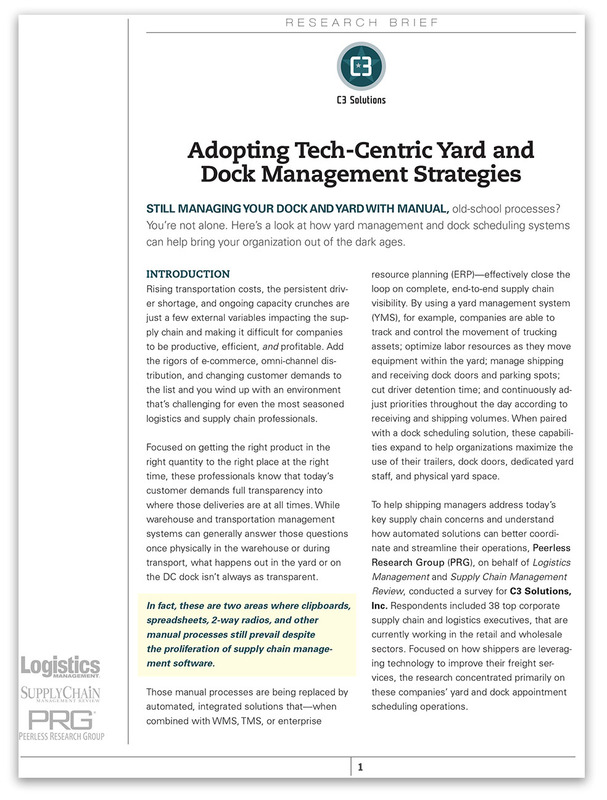 While warehouse and transportation management systems can generally answer those questions once physically in the warehouse or during transport, what happens out in the yard or on the DC dock isn’t always as transparent.